Erin Brockovich is the real life inspiration behind the Oscar-winning movie that bears her name. Today she continues to perform legal work as a director of environmental research and is involved in consulting on numerous toxic waste investigations. 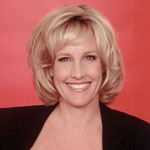 Brockovich is active on the motivational speaking circuit, with a thriving lecture series and a television talk show in development. She lives in Los Angeles, California.